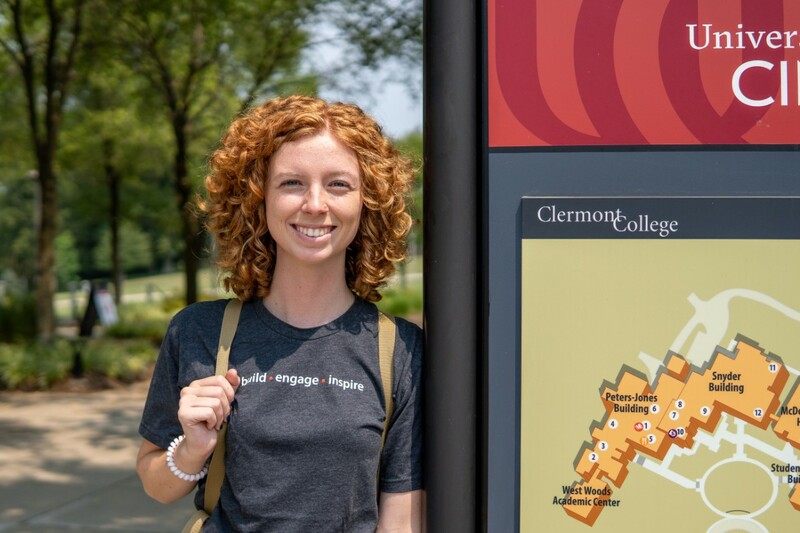 UC Clermont meets students right where they are — providing paths to pursue advanced degrees, a foundation for specialty industries, increased earning potential and elevated job placement. Whatever your destination, Begin Here. UC Clermont gives students a solid academic foundation, providing associate degrees and certificates for those ready to join the workforce or a seamless transition toward four-year programs. When UC Clermont students graduate, they are ready to work and easy to hire. Study abroad opportunities, internships and Career Services provide students with the resources they need to succeed in the real world. UC Clermont provides a supportive environment in a park-like setting where class sizes are small and tuition is affordable. Everyone was willing to help and direct me to opportunities that interested me, and they all wanted to see me succeed.